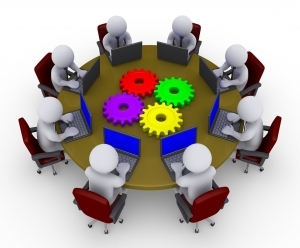 Dedicated Testing Team service is developed to provide a complete control over the process. You can monitor the team work via instant messengers (AIM, MSN, Skype, etc. ), e-mail and telephone as well as applications for joint work (online project management, time / bug trackers). If the dedicated team approach is not pertinent, we also offers fixed cost (FC) and time & material (T&M) business models of software testing services. Our principles of relations with customers are invariable – partnership and cooperation, responsibility and confidentiality, flexible pricing models and close communication. Our testing team is skilled in the areas of Manual as well as Automation Testing using industry-standard tools. Apart from the testing to support the development projects we have expertise in providing Outsourced Testing Solutions to our clients. 1. The customer gets a dedicated team of experienced staff capable of performing a wide range of tasks for the comprehensive application testing. 2. A team accumulates knowledge about the customer products and processes and requires less management costs and less time expenses. 3. A team can carry out multiple projects simultaneously, the customer is able to change the priority of tasks, stop task and assign new tasks. 4. High quality work as the team will be focused on the particular tasks. -Direct access to each team member with all communication channels (telephone, instant messaging, email) -Transparent workflow & integration into your production process.